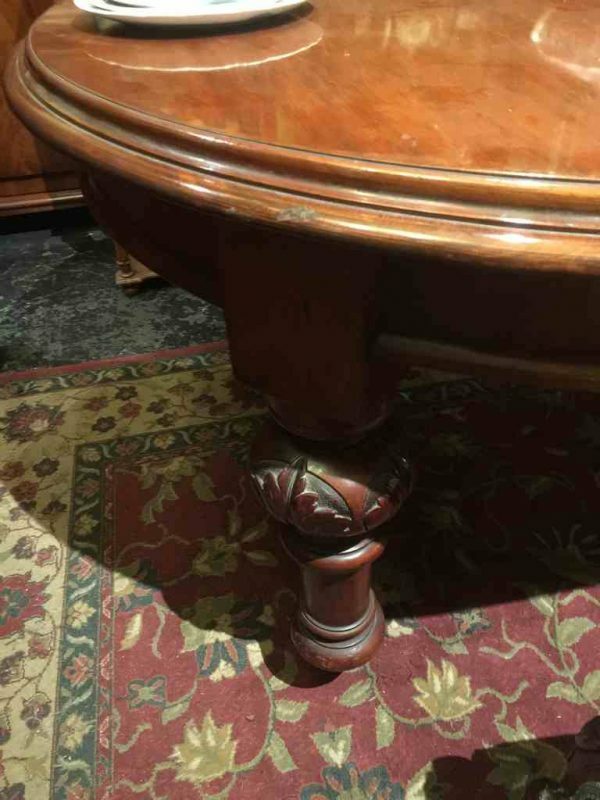 Antique Australian colonial cedar extension dining table circa 1860. This superb d-end table features two large extension leaves and options of 3 different lengths. Closes down to a circular table. Original condition with good patina, nicely carved legs. 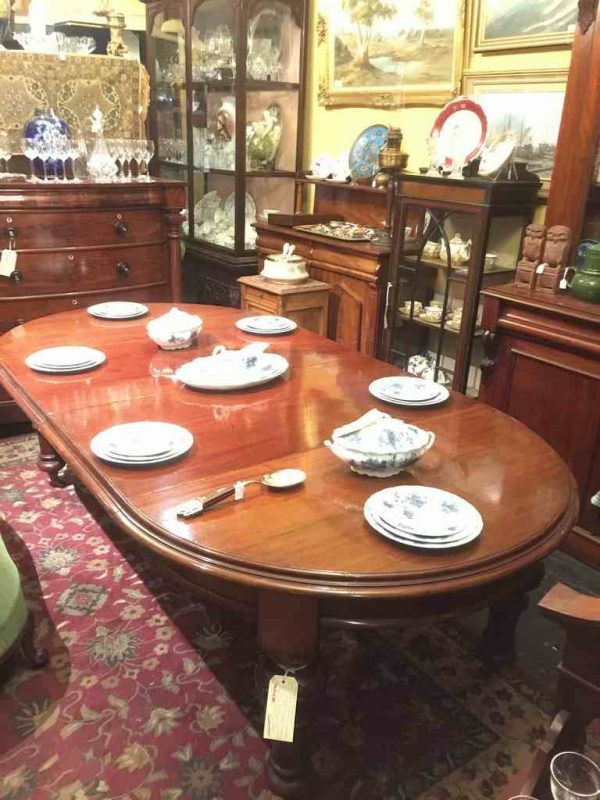 Another excellent example of Australian colonial cedar furniture available from Old Post Office Antiques Melbourne’s best value for money antique shop.